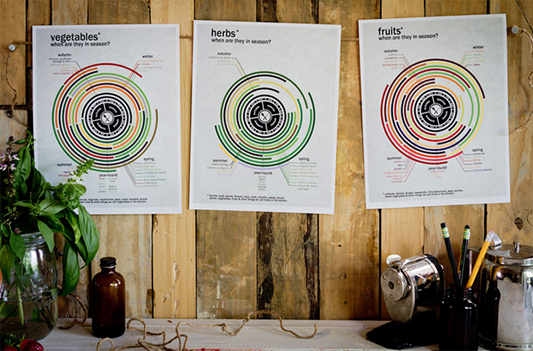 Beautifully designed seasonal fruit, vegetable and herb posters. 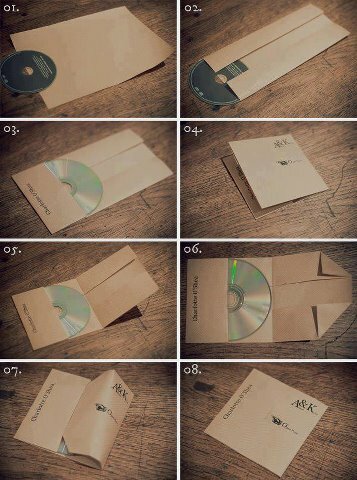 It appears to be pretty easy to make a bag. Rather than providing free advertising for supermarkets, how about a recycled tie-dyed bag? How Easy it is to Grow a Pineapple! Pineapple plants are ridiculously easy to grow. In fact, many gardeners say that it's difficult to fail! The plant can grow indoors, and is quite pleasing to the eye without fruiting. However, if it's the fruit you want to gain from the plant it will need plenty of sunlight. Cut the top off any pineapple you buy from a fruit store and trim off the fleshy part on the bottom. 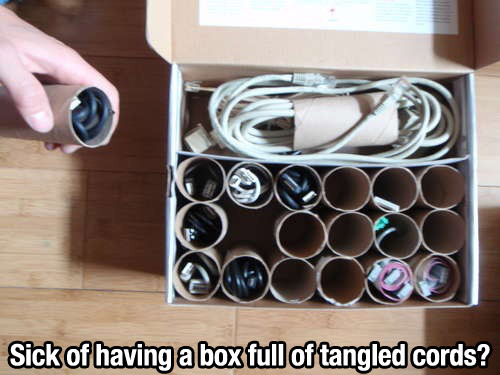 Stand it in a jar of water covering the bottom to allow the root to strike. Once you see roots starting to form, plant it in a pot or in the garden. 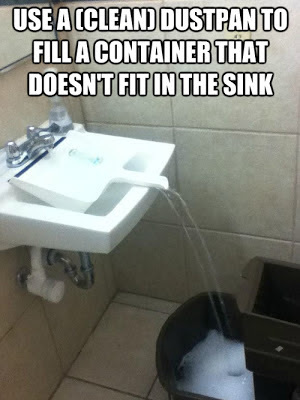 I've even had success in leaving out the jar & water step. It takes about 12 - 18 months to harvest a fully formed fruit. When the fruiterer asks you if you need the top of the pineapple cut off, now you know why... it's a free pineapple plant for them! 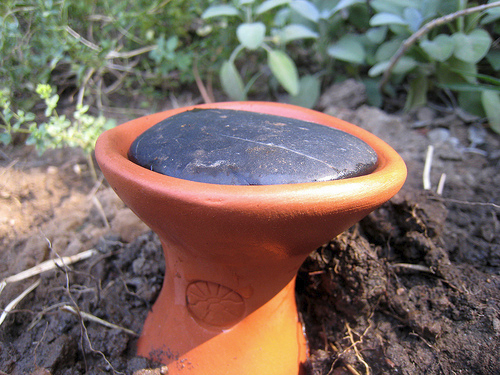 The Olla (pronounced (Oy-ya) irrigation system is an ancient practice, and very simple in concept. 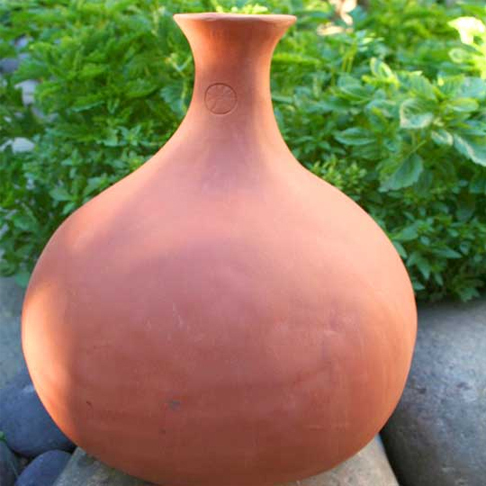 Ollas are made of unglazed terracotta and filled with water, which seeps through the walls.The olla is buried in the ground next to the roots of the plant to be irrigated, with the neck of the olla extending above the soil. The Ollas efficiency is owed to practically no water loss due to evaporation or run-off. 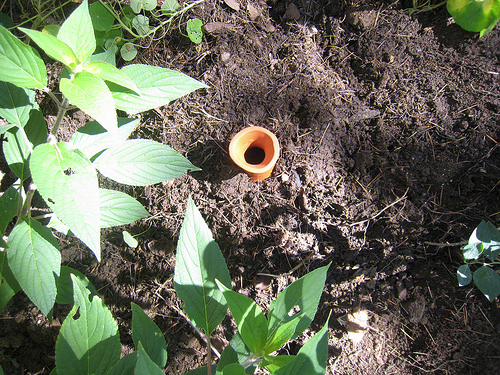 This system can be applied to almost any type of garden, although plants with woody root systems may damage the pot. If you're quite adept at the clay wheel, they seem to be a pretty basic project, or perhaps there's a terracotta pot store near you where you can either order one or fashion one out of something they sell. 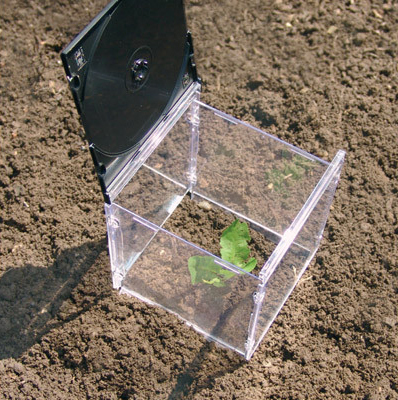 This mini greenhouse is perfect for winter conditions, or protection from pests for the seedling to truly establish itself. 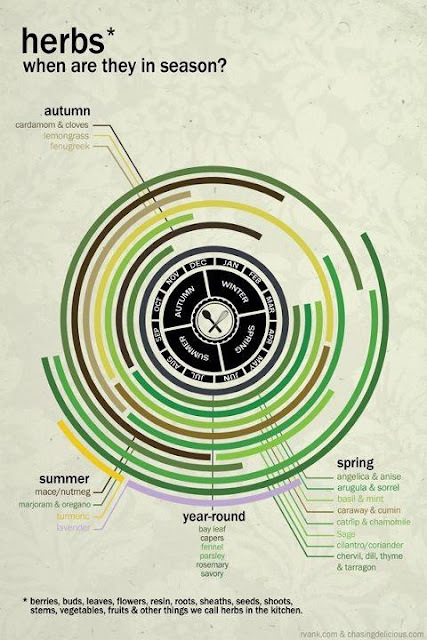 Beans would also benefit from such a structure as it's advised not to water the seed until their sprouts show themselves above the soil, and if you have other plants in the same bed that require watering, this handy construction saves you the timely hassle of precision watering. 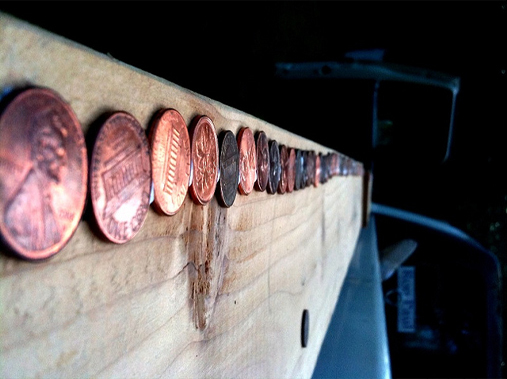 With thanks to Jason (Frugal Dad). This infographic was sourced from his website here. Jay Rosenberg speaks about Hayes Valley Farm demonstrating urban agriculture as a strategy for interim land use in San Francisco. He says "this isn't a place of food production. It's a community centre". "If it's not fun - it's not sustainable." 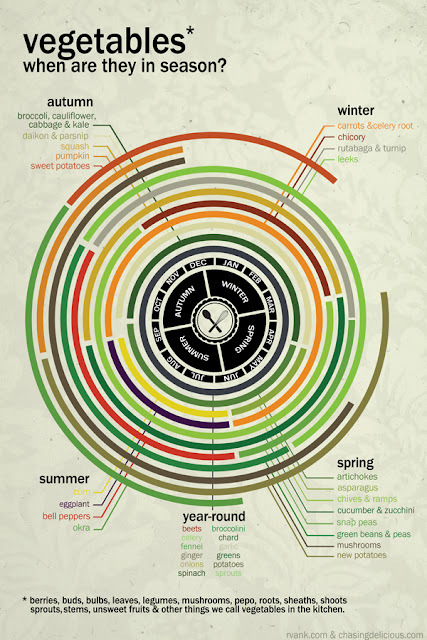 The ability to grow most of these vegetables from their leftovers is as simple as sticking the bottom end of them into a well-prepared patch of good soil and making sure their bed is kept moist. Surprisingly easy! 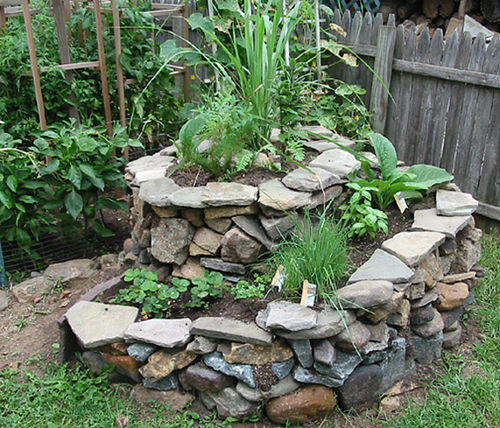 If you haven't been gardening for very long, you'll soon develop a Permaculture Eye and start observing how it all works! Just stay aware. For more information on how each one is done, visit Wake-Up World. 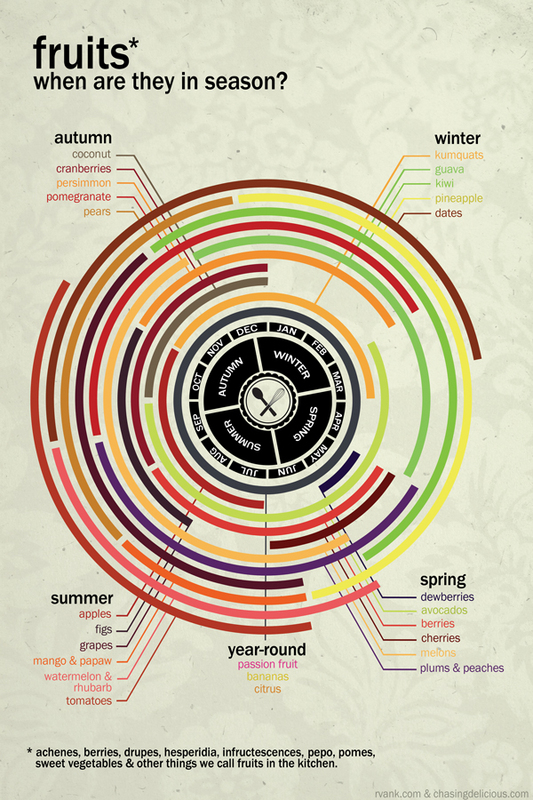 The image includes Fennel, Scallions, Leeks, Garlic, Cabbage, Bok Choy, Celery, Romaine Lettuce, Sweet Potato, Pineapple, Ginger, Lemongrass. 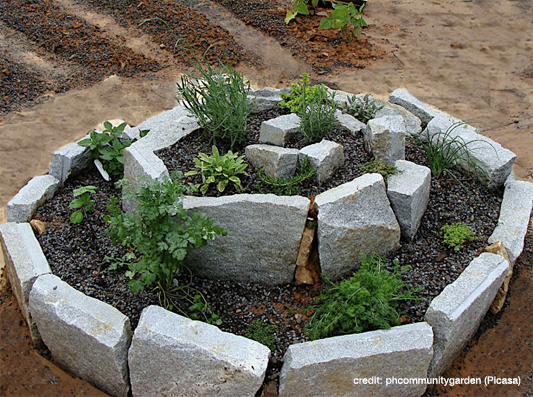 The herb spiral, an invention of Bill Mollison's, dubbed the "Father of Permaculture", provides 20 or so feet of gardening space in two square metres and creates micro-climates that provide for a multitude of medicinal and culinary herbs. 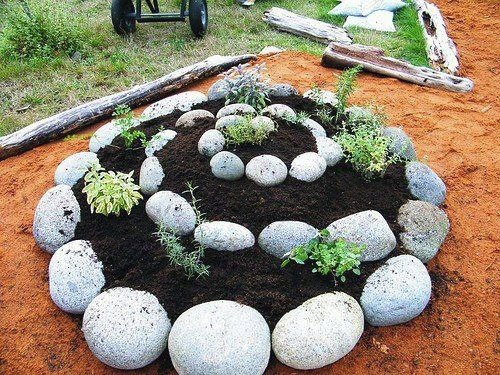 Here's some beautiful and well-thought out herb spirals sure to inspire. I've tried to credit images where I can, but if one of these images are yours, please send some proof it is so I can credit your work and provide a link. 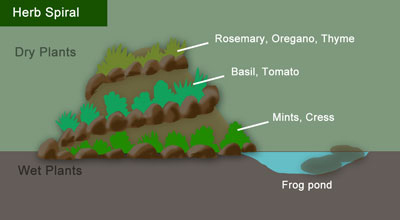 A ball made like the one above can make the garden bed pretty, but remember, a repellent can drive away a food source for something else, like a frog. If your slugs are a problem, perhaps this can be utilised to reduce numbers and create a balance. I remember hearing Geoff Lawton, of the Permaculture Institute of Australia, once saying, "You don't have a grasshopper problem, you have a turkey deficiency" !!! If one could define the word 'herb' it would be "Any plant with leaves, seeds, or flowers used for flavouring, food, medicine, or perfume". The plants listed above are considered herbs by those who use them, and weeds by those who are unaware of their powers and consider their presence to be no more than competitive and obnoxious. 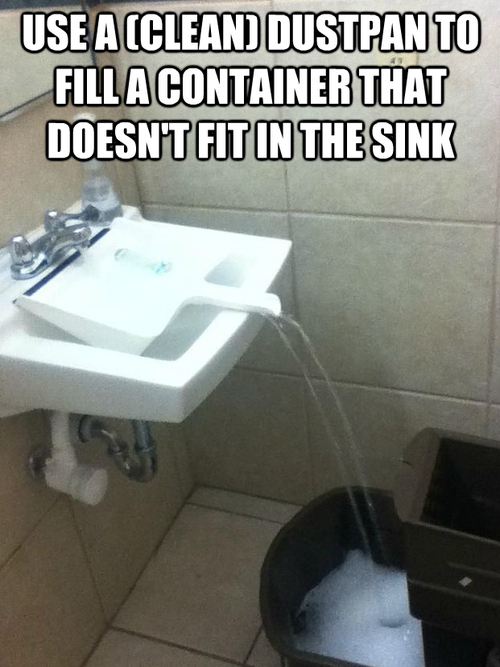 This is a genuine problem solver, if there ever was one. How to make a simple willow wigwam for peas, beans or sweet peas for your garden. Aurelia, Nawaya Permaculture Designer, explains the Seer Pot Fridge that was a part of the first international PDC in Egypt during February 2013. Potted pot. Two unglazed pots, with sand filling the gap between them. The sand is saturated with water and a wooden lid covers the top, leaving a dramatic drop in temperature inside the Seer Pot Fridge. Absolutely no reason to go out and buy empty blank cases at all now, really. You could even print out the cover (at the very least, this one takes ball point pen!). 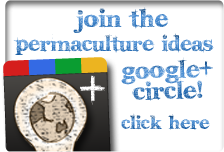 Fernglade Farm, situated in northern New South Wales, Australia, sets a great example for organic Permaculture farming. No sooner does the host describe some problems to overcome, but has them turned into resources as other solutions. Despite the harsh drought and heat wave where Fernglade Farm is, life is teeming. Thanks for the tour! 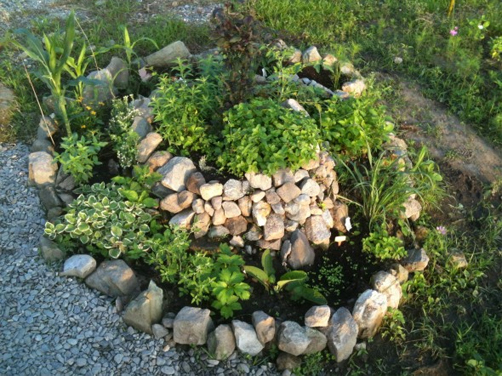 Permaculture is more than just organic gardening. Fukuoka Masanobu, who inspired Bill Mollison, described permaculture as "making a thoughtful observation to prevent thoughtless labour". Be conscious and awake - solutions to everyday problems are all around us. The solutions are embarrassingly simple. 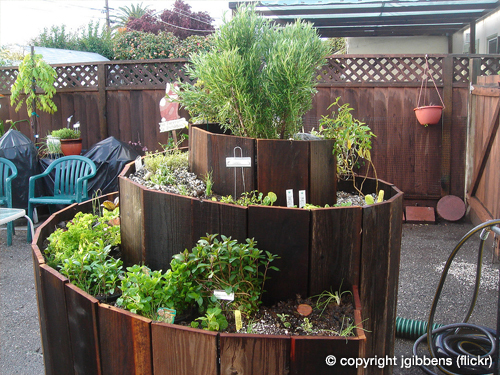 Dennis shows several Hugel Hoops in various stages of construction, and identifies the permaculture principles that work together in this garden/orchard structure. 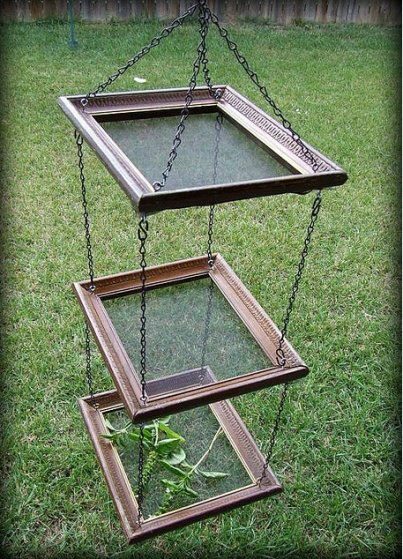 Recycled your old picture frames by connecting them together with chains. 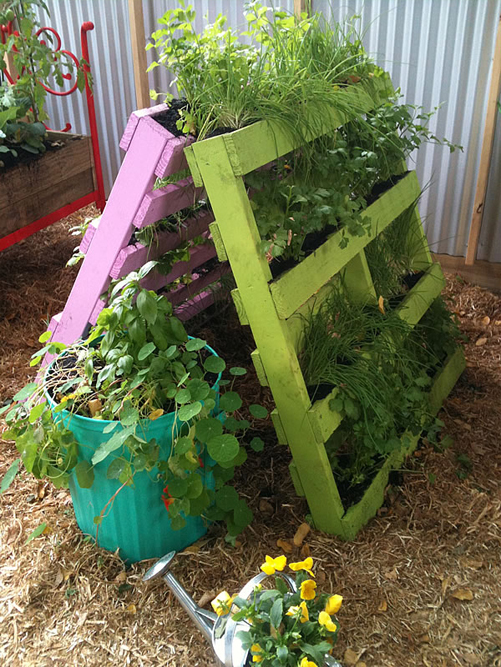 Line the frames with flyscreen which is available at hardware stores in rolls, and you have a terrific herb drying rack. You can hang this in your laundry or anywhere that's light, ventilated and warm. Watch the construction of raised beds at the Taino Permaculture Farm in Los Brazos, Dominican Republic. Farming in the tropics can eat up the organic matter in the soil very quickly. 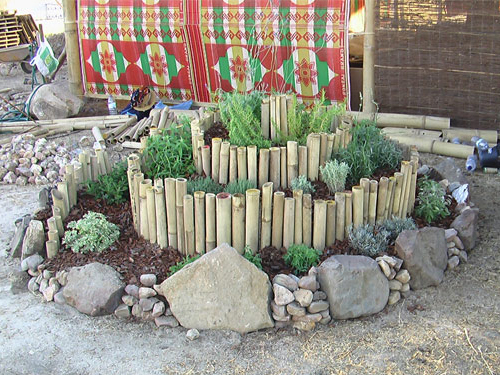 Watch how the permaculture team at Taino overcome this with the various ingredients in their raised beds. Three wheelbarrows full of horse manure, with composted down wood chips. 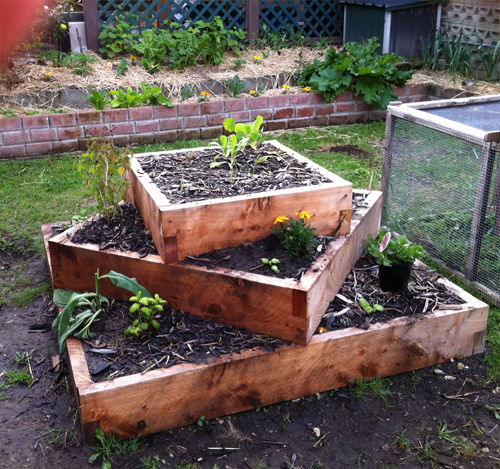 To each of their raised garden beds. Because their soil is quite high in clay content, they added sand. It also helps for water retention. Coconut husk for water retention and organic matter. Half a bucket of bat guana to each garden bed along with a whole bucket of sheep manure. 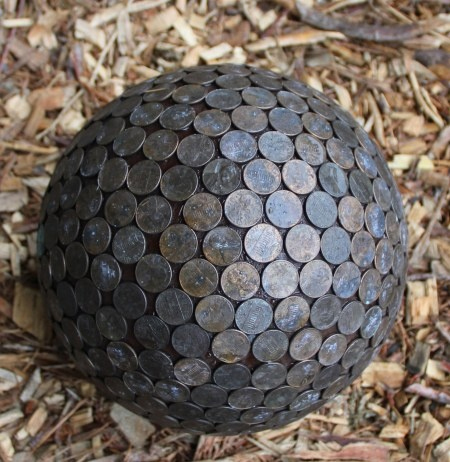 This allows for 6 months straight gardening. Areas that don't experience such hot weather would benefit from these ingredients in the their beds, but wouldn't require such regularity with renewal. Bat guana is very high in nitrogen, and outside the tropics would be difficult to obtain, so chicken manure could be used in place. Chicken manure is so concentrated that soaking in water for 3 weeks would be advised to break it down - stirring every couple of days.